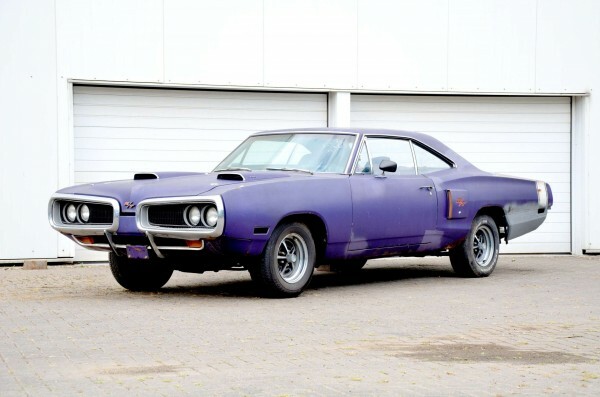 "1970 Dodge Coronet R/T plum crazy"
is a very solid base. It includes many original Parts, that are otherwise hard to find. The Fendertag makes it to a very interesting and rare car, that is very hard to find today. You can buy it like it is, or we can restore it partly or complete for you. Der gelistete Preis ist ohne Motor/Getriebe im Istzustand. Optional können wir aber natürlich alle Mopar Versionen anbieten. Sobald wir mit den Blecharbeiten im Heck beginnen wird der Verkaufspreis steigen.